What Should You Look for in a Pain Specialist? You have pain. You’ve taken medication for it and it doesn’t seem to go away. You may need to see a pain specialist. You may know the underlying cause of the pain, or you may not. 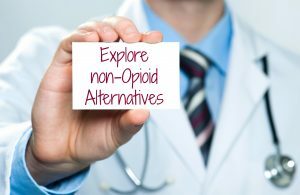 In many cases, individuals will seek out multiple types of pain treatments and talk to various doctors to find a solution. If you haven’t seen improvement, you may need to turn to a pain specialist. These professionals have the information and resources to offer you a wider range of treatment options for pain care. Keep in mind that pain management is far more than just taking medications. When you see our pain specialist in New York, you’ll learn about all of your options. • Turn to a professional who has specific experience in pain management. Their in-depth understanding of the pain systems and care as well as how the nervous system works can really benefit you. You want a pain specialist, not just your average doctor providing you with care. 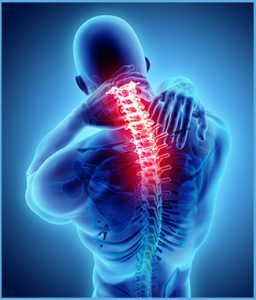 • Look for a professional that offers multiple options for pain care. Many times, patients only believe medications are a solution to their pain. That’s not the case. You need to have multiple options available to help you to get the care you need. • You need someone that is going to listen to you and really wants to help you. Often, patients feel as though they cannot trust their doctor to really want to help resolve their pain. They believe the doctor doesn’t understand or doesn’t care how bad it is. Compassionate professionals are important. • Look for a pain specialist that uses alternative care as well. This may include either offering or recommending acupuncture, massage, and chiropractic care. For some people, this really is effective. • Select a pain specialist that you like. It is important to have a good relationship with the professional who is going to help control the pain you feel. It takes a unique doctor to work as a pain specialist. When you come in to see our top-notch pain doctor in New York City, you’ll get the level of care you need to provide you with the best range of options for pain control and treatment. Why See a Specialist for Pain?